New Delhi, 13 October 2017 – Médecins Sans Frontières/Doctors Without Borders India has filed a petition before the High Court of Delhi to overturn the patent granted on the pneumococcal conjugate vaccine (PCV) to the US pharmaceutical corporation Pfizer. Earlier this year, on August 13, the Indian Patent Office dashed hopes for improved access to an affordable PCV13 when it granted a patent to Pfizer for its PCV 13 product, marketed as Prevnar13, which will expire only in 2026. 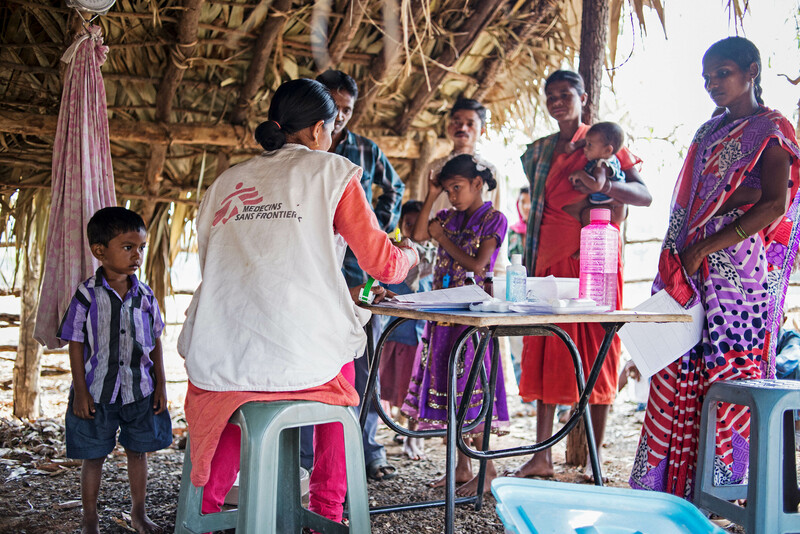 MSF had challenged Pfizer’s unmerited patent claims on the vaccine in India last year to enable and accelerate the availability of more affordable versions of PCV. Globally, pneumonia causes more than a quarter of deaths in children under the age of five – nearly one million young lives lost per year. India carries the world’s highest burden of pneumonia, accounting for nearly 20% of these global infant pneumonia deaths. The PCV13, which safeguards against 13 types of pneumococcal bacteria, also lowers the likelihood of antimicrobial resistance (AMR) by significantly reducing common childhood infections and decreasing the need for antibiotic use among infants and children. In a petition filed at the Delhi High Court this week, MSF India has argued that in August 2017, the Delhi Patent Office erroneously granted a patent to Pfizer by disregarding the evidence MSF produced indicating that the pharmaceutical giant’s claim to a patent was spurious. 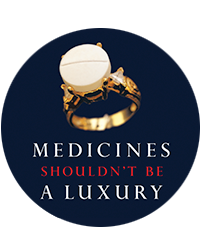 MSF argued that the mere addition of serotypes to the already established 7-valent vaccine did not involve a technical advancement – it was merely a tactic to preserve Pfizer’s monopoly for many more years. The decision also has broader implications, as it indicates a weakening of India’s strict patentability standards, which results in granting monopolies for minor and trivial improvements of existing medical products and restrict access to affordable medicines. The pneumococcal conjugate vaccine (PCV) is currently available from only two pharmaceutical corporations: Pfizer and GlaxoSmithKline (GSK). Unfortunately, this vaccine is priced out of reach of many parents, governments and treatment providers, due to a duopoly market and a lack of sufficient competition from developing country vaccine manufacturers (DCVM). Approximately one-third of the world’s countries have not been able to introduce PCV, largely because of high prices. Those who have introduced the vaccine are struggling with its costs. South Africa spends more than 50% of its vaccination budget on purchasing PCV13 alone and this is set to continue for another decade unless patent barriers are removed to bring in more competition. “While MSF has initiated the legal process to challenge the patent, the actual revocation of an unmerited patent takes years. Looking at the urgent need for this vaccine, we really hope that the Indian Health Ministry in the meantime consider issuing a government use license, to encourage manufacturers who have been developing more affordable PCV13 vaccines to continue with phase 3 clinical trials and deliver the life-saving vaccine for the immunization program, not just in India but across the world,” said Yuanqiong Hu, Legal & Policy Advisor, MSF Access Campaign. Pfizer and GSK have both been building so-called patent thickets restricting development and competition in the area of PCV. One study identified 106 applications potentially relevant to the manufacturing of pneumococcal vaccines. GSK, which markets PCV10 (Synflorix), and Pfizer (previously Wyeth), have filed the most number of patents in India, China, and Brazil, in an attempt to create barriers to the development of less-expensive versions of PCV. The patent granted to Pfizer involves the method of conjugating (assembling) together serotypes of streptococcus pneumonia into a single carrier and is essential for PCV developers. The patent is a mere addition of serotypes to the already established 7-valent vaccine and does not meet the inventive step requirement; it ought to have been rejected. Outside of India, this application was granted and subsequently revoked by the European Patent Office (EPO) following opposition by other major pharmaceutical companies. In the US, a recent inter partes review (IPR) and post-grant opposition or ‘post-grant review (PGR)’ has been filed on this application. The patent office decision, Pfizer’s patent application and patent oppositions filed by MSF can be found here. Pfizer and GlaxoSmithKline (GSK) presently control a duopoly market for PCV that has brought in a whopping $39 billion in sales in the last 8 years. At the lowest global prices, the pneumococcal vaccine accounts for ~45% of the total cost to vaccinate a child today. About one third of countries around the world (~60 countries), predominantly low-and-middle-income countries where millions of children risk getting pneumonia, have not yet been able to introduce the PCV in their national immunization systems largely due to the exorbitant prices the two corporations charge – despite a 2007 World Health Organization (WHO) recommendation. Over 50 governments – among them Angola, Botswana, Jordan, India, Iraq, Philippines, and others – have voiced their concerns regarding inflated vaccine prices at the WHO’s annual World Health Assembly in 2015. In India, Pfizer’s PCV had until recently been available solely in the private market with an out-of-pocket price tag of over INR 10,000, reducing the impact of the vaccine as it fails to reach the most vulnerable children. The high price tag and absence of competition has allowed these corporations to quickly capture over 50% of the private vaccine market in India. To enable a broader dissemination, the vaccine is now being introduced into India’s Universal Immunization Program (UIP) with financial support from Gavi, the Vaccine Alliance (Gavi). Despite Gavi funding, the roll-out remains limited to just three states: Himachal Pradesh, Bihar, and Uttar Pradesh, due to the high price and limited availability of the vaccine. At the lowest price from Pfizer of about $10 a child, which isn’t accessible to most countries, it is now 68 times more expensive to vaccinate a child than in 2001 (for the full package of WHO-recommended vaccines).